GBI Direct offers a wide selection of physical precious metal investment options. Below you can see all options available to you. 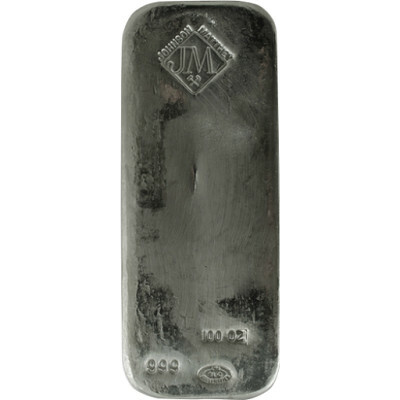 Silver 100oz bars maintain a fineness of at least 99.9% purity. Picture is a likeness only. Orders will be filled with bars from LBMA-listed manufacturers. Actual brand may vary from the picture above. Available for storage in New York, Salt Lake City, Sydney and Singapore. 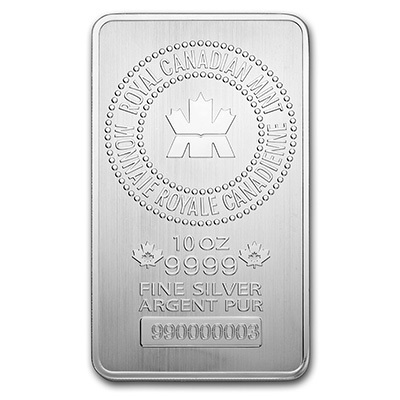 The 10 ounce RCM silver bar is the newest offering from the Royal Canadian Mint. The new premium bar features include the highest purity and a special “Reeded Edge” security feature. 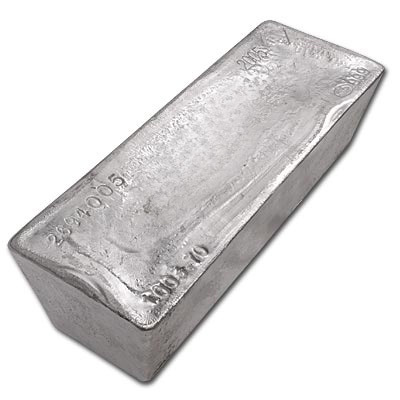 It has the unique distinction of being the only 10 ounce sized silver bullion bar currently being produced by any government Mint and bears a superior silver purity of 99.99%. Each bar contains elaborate security features to help prevent counterfeiting. Due to the popularity of this bar supply is limited and can sell out. Available for storage in New York, Salt Lake City and Singapore. Silver 1000 oz bars (variable weight) maintain a fineness of at least .999 purity (99.9% pure) and contain approximately 1000 troy ounces each. Picture is a likeness only. Orders will be filled with bars from LBMA-listed manufacturers. Actual brand may vary from the picture above. Available for storage in New York, Salt Lake City and Toronto. 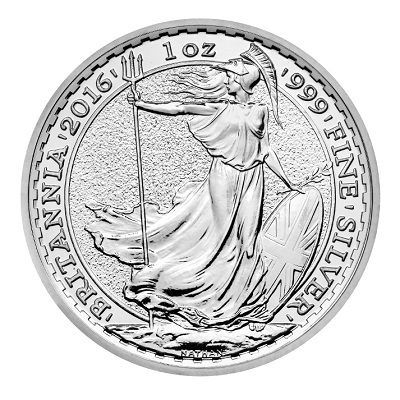 The Silver Britannia is a sovereign coin backed by the British government. The front of the coin is of her Majesty Queen Elizabeth II. The reverse side is the legendary figure of Britannia holding a trident and shield. It is 1oz of .999 fine Silver. Available for storage in New York, Salt Lake City and Zurich. In 1792, silver was first minted into dollar coins. 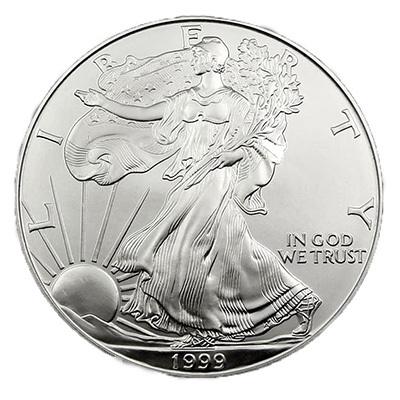 Today, the number one silver bullion coin in the world is the Silver American Eagle. Silver Eagles are tangible and beautiful investments. They are .999 fine silver, the finest silver coins ever issued by the US. Picture is a likeness only. 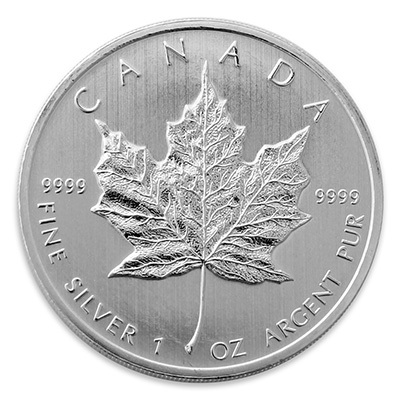 In 1988, the silver Maple Leaf coin was introduced. The coin is .9999 fine silver and the Canadian government guarantees its purity. These coins are recognized worldwide making them highly liquid. Picture is a likeness only. 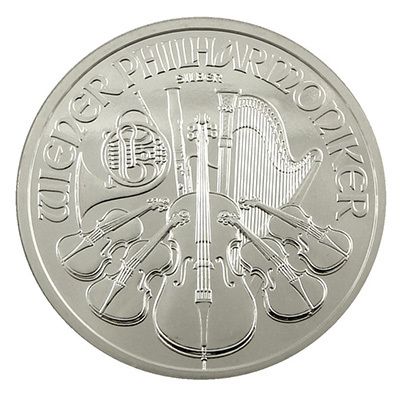 The Vienna Philharmonic coin was first minted in 2008 to celebrate the Vienna Philharmonic orchestra. It is one troy ounce of .999 fine silver, guaranteed by the Austrian government. Picture is a likeness only. Available for storage in New York and Salt Lake City. 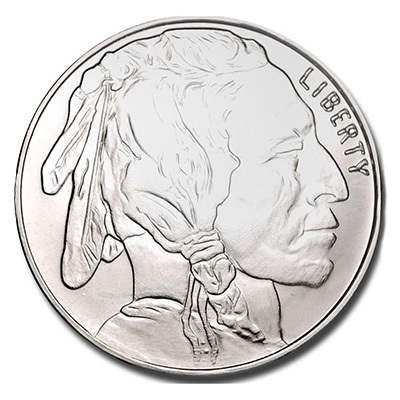 Silver rounds bars maintain a fineness of at least .999 purity (99.9% pure) and contain 1 troy ounce each. Picture is a likeness only. A full bag is $1000.00 in face value and contains approx. 715.0 troy oz of 90% pure silver. Picture is a likeness only. Actual brand may vary from the picture above. Silver 100oz bars maintain a fineness of at least 99.9% purity Picture is a likeness only. Orders will be filled with bars from LBMA-listed manufacturers. Actual brand may vary from the picture above. Available for storage in Salt Lake City. 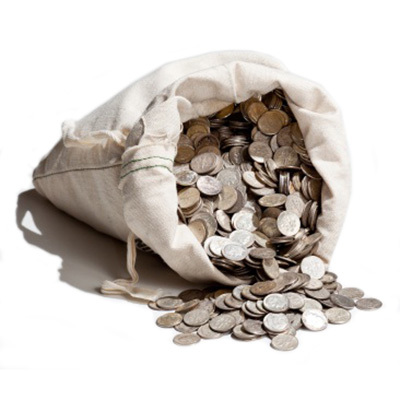 In 1792, silver was first minted into dollar coins. Today, the number one silver bullion coin in the world is the Silver American Eagle. Silver Eagles are tangible and beautiful investments. They are .999 fine silver, the finest silver coins ever issued by the US. 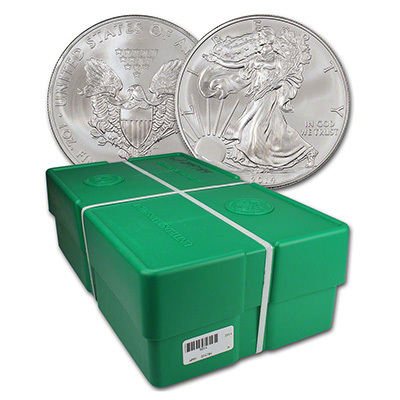 Each box comes sealed directly from the United States Mint. The monster box contains 25 sealed tubes (each containing 20 coins) for a total of 500 troy ounces. Picture is a likeness only.